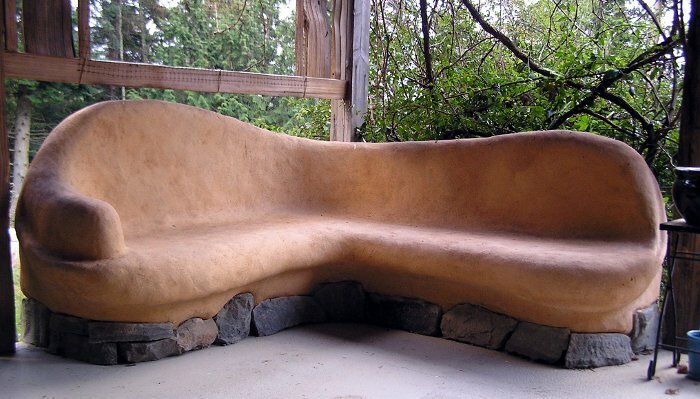 A hybrid cob and straw bale building combines the super-insulating properties of straw bale with the sculptural and thermal mass properties of cob for the ultimate in natural building comfort and aesthetics. In this hands-on, intensive workshop, you will work on a real “bale cob” structure, full scale. 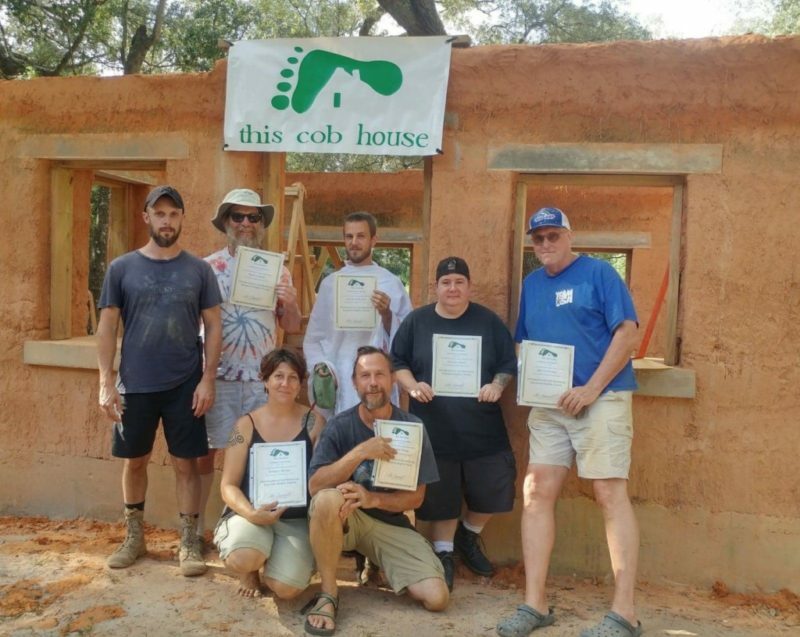 Learn the basics of planning and building foundation, wall, and roof structure for a cob and straw bale hybrid building. 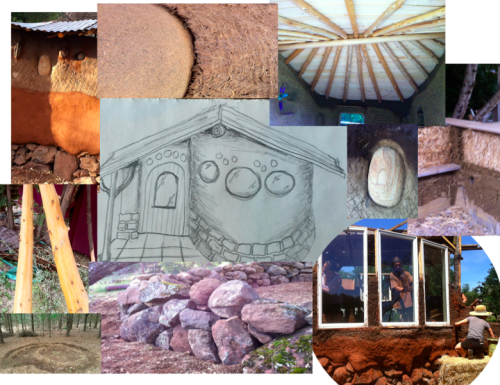 Learn how to select materials for cob, mix cob and build with it. 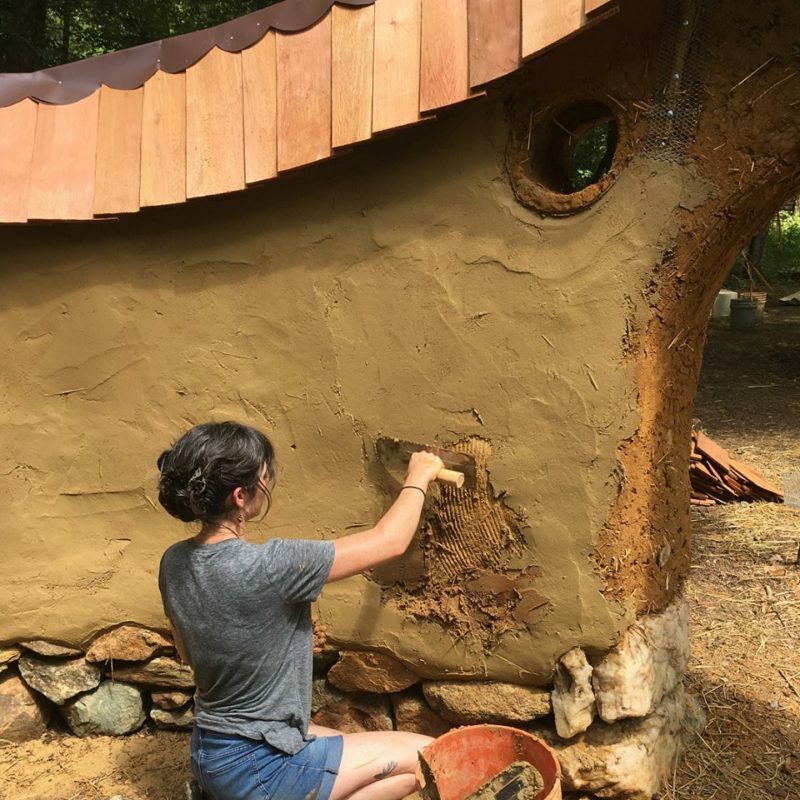 Learn how to use mostly or entirely local and on-site natural materials to build a structure using minimal, basic hand tools, including how to find, harvest, and prepare the materials. Learn how to adapt what you have on hand into something that will work. Learn how to select and use straw bales and loose straw for insulation, how to think about thermal mass and insulation when designing a building, and how to build a basic roof structure from round-wood poles. Price includes camping and 3 meals a day. Located near the Shawangunk Mountains, famous for outdoor recreation and rock climbing in the seasoned beauty of the northern Appalachians.